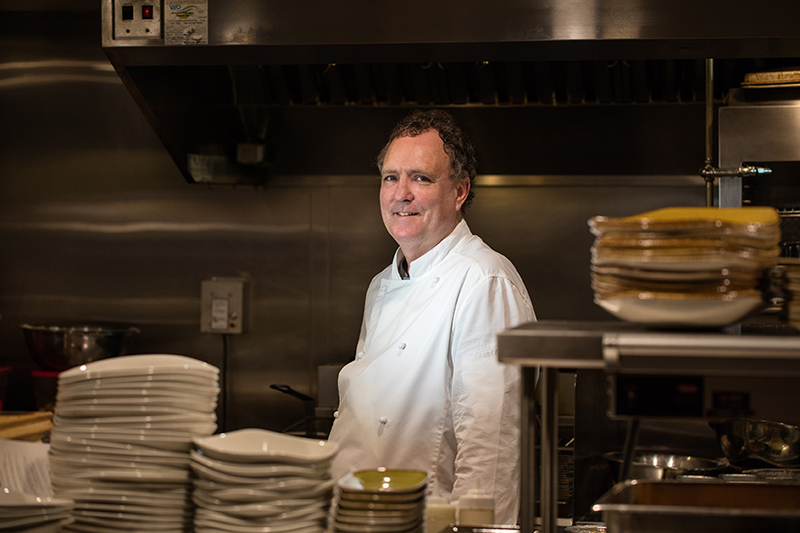 Chef Rex Hale offers international comfort food sourced as close to home as possible at Boundary. Tastes evolve, and so do restaurants. 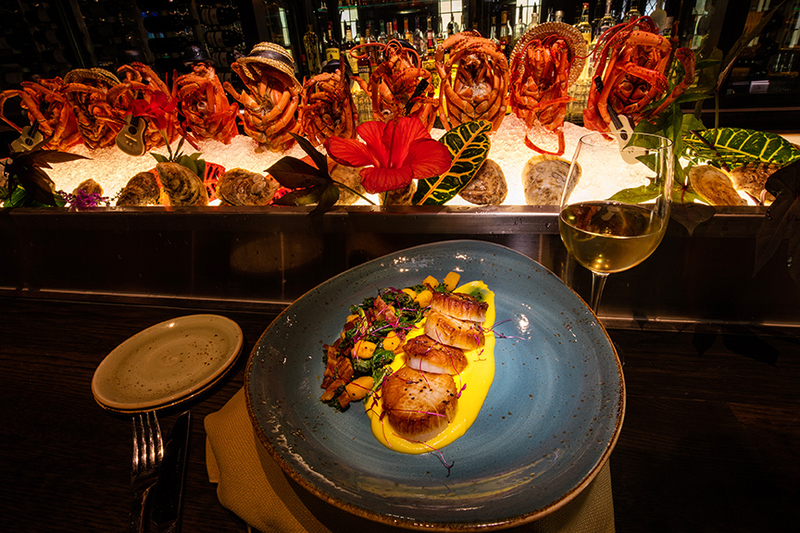 At Boundary, the Cheshire’s signature restaurant, the vibe, the décor and the menu all changed recently, along with the name. The setting has become a bit more casual, with the bar doubling in size and bright-green seating adding a pop of color to the center of the dining room. Prices are more moderate than they were at the Restaurant – Boundary’s predecessor. At Boundary, “you can have a drink; you can have a full meal,” Hale says. 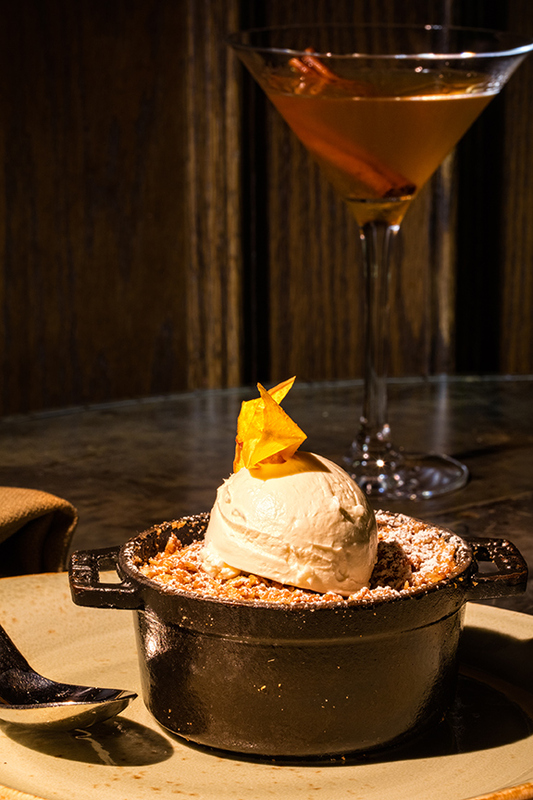 The name is a nod to the Cheshire’s location, straddling the St. Louis city-county line. In a culinary sense, however, a more accurate description might be no boundaries. Hale calls his offerings international comfort food – “a brasserie menu from around the world” – featuring produce, cheeses and proteins sourced as close as possible to home. Chef Rex Hale of Boundary will demonstrate these dishes at the Cooking School on November 8, 2016 at AUTCOhome from 6:30-8:30 p.m. For reservations, call 636-230-9640, ext. 27, or email [email protected]. 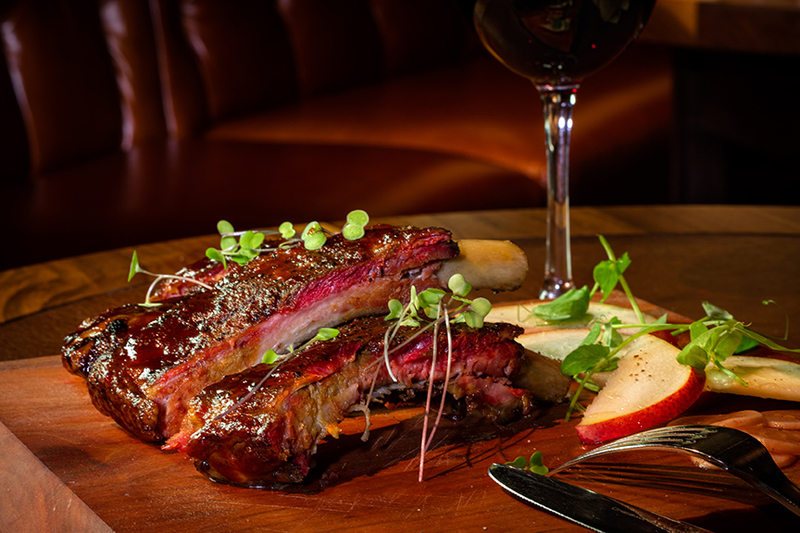 Smoked St. Louis-style pork ribs garnished with pickled radishes and seasonal fruit. The barbecue sauce is assembled from a world of flavors: Coca Cola, Korean gochujang (red chili paste), Dijon mustard, Cabernet vinegar and garlic. 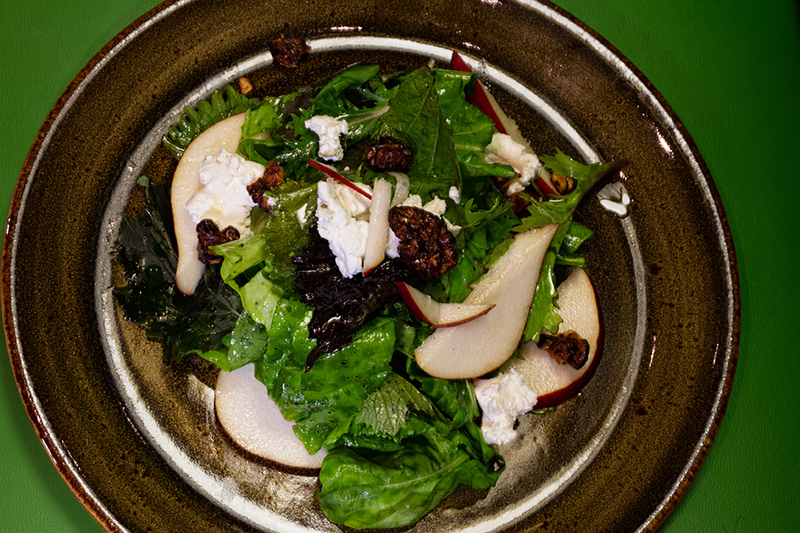 Salad made with an assortment of local greens, goat cheese and Asian pears, drizzled with citrus vinaigrette made with local honey. Seared sea scallops with butternut squash cooked two ways. The scallops will rest on a bed of puréed squash with a texture similar to mashed potatoes. Hale will sauté the remainder of the squash with diced onions, garlic and house-smoked bacon, then toss a variety of sturdy greens with the sautéed squash until the greens wilt. Apple crisp with vanilla bean whipped cream. Hale will use sweet-tart Jonathan or Fuji apples – or both. For the topping, he will crumble together rolled oats, butter, sugar and flour, adding cinnamon and a splash of vanilla for flavor.